There are several options. I have tried out many things but most of the services or apps were not reliable. Finally, I found one. It is called pupil HD which is, frankly speaking, a weird name for a TV streaming app but I assume that the creator had the pupil of the eye in mind as the logo suggests. PupilHD offers live TV and has more than a thousand channels to choose from (mainly Arabic channels but also Turkish, Kurdish, Persian, Afghani, Indian, Pakistani). You will find channels such as MBC 2 and MBC Drama, almost all Egyptian and Saudi channels (and from every other Arab country), religious channels (Islamic and Christian), news channels such as Al-Arabiya al-Hadath, al-Jazeera Documentary, channels for children (and Arabic learners ;-), etc. 2. You need to activate the service. Unfortunately, there is no trial option. You need to buy a subscription. Don’t be shocked when you see the high prices for the boxes. What you need is the mobile package. The price is 5 Euros per month or 50 Euros per year. I would recommend to pay it monthly just in case the service goes offline. You can use PayPal which works fine and is secure. But you can also pay by credit card. I used PayPal. 3. You need to log-in. That’s it. After that, you can choose from genres or search directly from the list. You can add favorites. Note: Of course there are other services that might work as well. One app is called Ulango TV+. It is also available for the Amazon Fire stick. It is more difficult to set up (you need to know that you need the plus version and the premium package for Arabic channels). It is also more expensive (as far as I know). However, the app founder is a German guy who is very helpful and who answers quickly by email if you can’t get the service running – which is also a big plus nowadays. Ulango TV+ also offers more TV channels which might be interesting if you want to watch German or French channels. The website states that you can choose from 6000 channels (130 countries). And what about other technical options? Option 1: You can download an IP-TV-App such as Smart IP TV and search for m3u-playlists. There are several sites that offer such lists. I tried several lists and apps but none of them worked properly. You basically have to update suchs lists daily because the URLs change and the update is not automatically done. If you use Smart IP TV, there is a one-time fee: 5.49 Euro. You might also run into some legal issues, so you should know what you are doing. Option 2: You use Kodi. This is a famous app that runs on all devices. However, the Arabic add-ons are not working well in my opinion. They often crash, are often not maintained and are generally of poor quality. If you know of a good add-on that really works, let me know! Watch out: If you use Kodi, I highly recommend using a VPN. Kodi users have been known to receive copyright infringement notices for streaming movies, sports, and TV shows through various add-ons. Option 3: The old-school technique. You can get most of the Arabic satellite TV channels via Nilesat and Arabsat (Badr) for free. Unfortunately the reception of Nilesat is limited to North Africa. You need a 1.8m dish to receive the signal in Istanbul or Athens. Arabsat, which provides the Eastern part of the Arab world with TV-channels, is easier to set up and can also be received in central Europe, but your neighbor might not like it if you install a huge dish on your balcony. If you live in the US, you are too far away from the reception of both satellites and would need to rely on horribly overpriced services. Disclaimer: What I write in this blog is intended to help readers to get content they already have purchased the rights to access, but are for whatever reason unable to access either temporarily, or permanently. 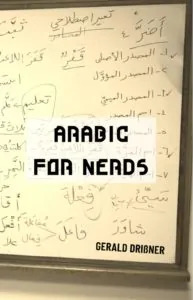 Arabic for Nerds does not support piracy and bears no responsibility for what you decide to do with the information provided in this blog post. 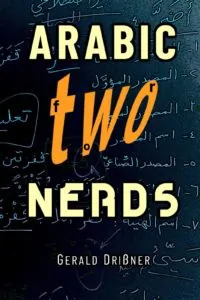 Furthermore, please note that Arabic for Nerds in no way hosts, develops, or produces any of the software mentioned in this blog. I also do not support the use, distribution, or purchase of fully-loaded Kodi boxes or other pirate streaming devices. I have been looking for a good iptv for awhile so that I can watch Arabic channels. Finally I find something stable and for only $5 a month!!! The app is stable and the quality of the channels are great. This app is carp on fire stick or any smart tv the interface is unusable, however most of the channels do seem to work and app is ok on a tablet using your fingers to navigate but not on a tv with a remote or even a phone. Also I have multiple devices @ home they started charging me per device without authorization. so even if they fix their crappy app I would not use their service. Hi , I have a normal TV. but it is not smart. I am trying to find an app which provides most the Arabic tv channels. which is the app is there? and how can I trust it, I prefer if I can try without any disconnecting? How much it will cost if I subscribe that? Is there any option I can use also like kodi or others? Hi, if you have a TV that has an hdmi input, try to buy an amazon fire stick and plug it in. it works great with pupil.